Founded in 2001, the Rotary Club of Daniel Island is a Service and Fellowship organization focused on Building Better Communities and Changing Lives. 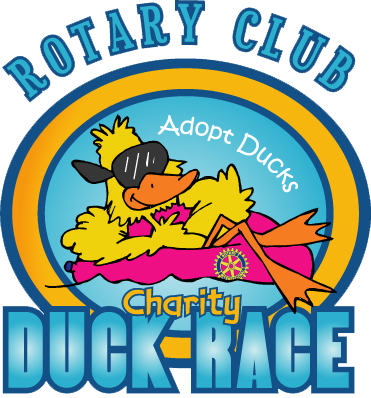 Each year the Rotary Club of Daniel Island and other participating Charleston-area Rotary Clubs present the Rotary Charity Duck Race. This is our single fundraising event of the year featuring 30,000 rubber ducks propelled down Smythe Park Lake. It is a family-oriented, fun event with an opportunity to win prizes up to $10,000. But, the real winners are the project and programs we support each year from this event. Trident Technical College, East Cooper Community Outreach, East Cooper Meals on Wheels, Camp Happy Days, and various Rotary initiatives, both local and around the world. We hope you can join us at the Duck Race this year and strongly encourage you to adopt one or more ducks for your chance to win and give back to the community!